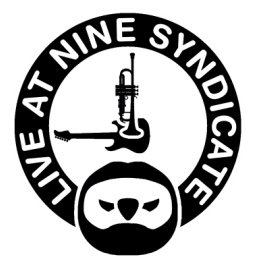 Live At Nine features front man and lead vocalist/keyboardist “Nico” who has performed and lived the Chicago blues scene. He is also a virtuoso keyboard, blues guitar & sax player. Nico's vocal stylings enable the band to play a broad musical repertoire. Nico is the band architect and he has pulled together an amazing group of musicians that make every song their own and every performance a unique experience! Pierre is a well-respected internationally toured keyboardist who has been in the music scene for many years. Mike has toured with numerous national acts including The Esquires and Harvey Scales and The Seven Sounds. Pierre brings his soul-soaked style and finesse, which gives great depth and feel to Live At Nine. He is proficient on a number of instruments, however for Live at Nine, he lays down some funkadelic deliciousness on the keys. Pat is Live at Nine's newest member and drummer. Pat is as smooth as his name! He is a seasoned percussionist having played with a number of bands in the Midwest and national acts. He has also recorded as a studio musician. He brings an amazing energy to the "Live at Nine" sound. Upon graduating with a musical performance degree, he joined the "Tower of Funk" band and toured Europe for 4 years. Pat's rock solid timing helps build the foundation that is the trademark Live at Nine rhythm section. Gator is Live at Nine's lead guitar player. He is well known in the Milwaukee scene and has played with a number of bands over the past 15 years. Mike has taught guitar for over two decades and constantly pushes himself to stay current and relevant! Gary is straight-up, the Live At Nine Grooveman. He has toured nationally and overseas with various artists including Platinum record holder Harvey Scales and the Seven Sounds. Gary is a refreshing addition to Live At Nine. Steve is the other half of Live at Nine's "Kick Brass" horn section. He plays trumpet, flugelhorn and latin percussion. Steve studied music at Wayne State University in Motown and has performed in many big band, jazz and classic rock bands in the Midwest. He has played with acts from New York to Los Angeles. Steve has arranged Live at Nine's horn charts making every tune a unique "horn-fueled" experience. He continues to amaze audiences with his sound, energy and technique. Denny is our latest and greatest addition to Live At Nine. From St. Louis, MO, Winfield has also experienced international touring acclaim and recently laid roots in the Milwaukee area. His sound is a rare commodity...smooth as silk, then gritty and funky. Kenny has been a great addition to Live At Nine! Born and raised in Milwaukee, Wisconsin, Kenny started playing saxophone at the age of 13. Growing up, he was heavily influenced by Maceo Parker, James Brown’s legendary saxophone player. Like Maceo, Kenny was recruited by a Macon, Georgia music legend by the name of Little Richard. For the last 40 years, the “Architect of Rock and Roll” could be heard screaming out across the stage ‘Blow Kenny!’ during his signature sax solos. His live horn arrangements and stage performance talent earned him opportunity to work with the likes of Isaac Hayes, James Engram, Bobby McFerrin, The Mar-Keys, Luther Ingram and Little Richard among many others over the years. He even had a short appearance in the movie “The Little Richard Story” Walker has played all over the world, gracing stages from Singapore to Germany to Osaka. His stage choreography, dance moves and howling saxophone make him the center of attention on any stage. Kenny has performed on The American Music Awards, Late Night w/ Jay Leno, The David Letterman Show, and other television shows across the world. He has collaborated with some of the biggest names in the business. Kenny Walker is a frequent featured musician with Live At Nine.